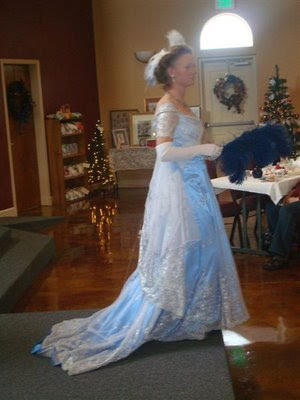 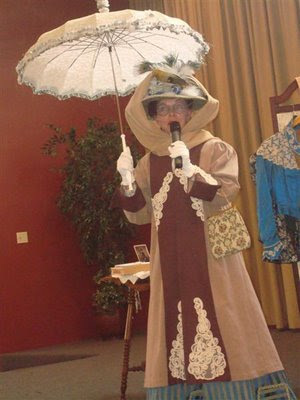 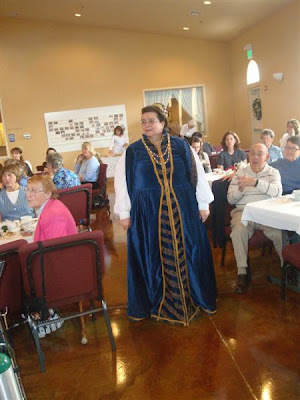 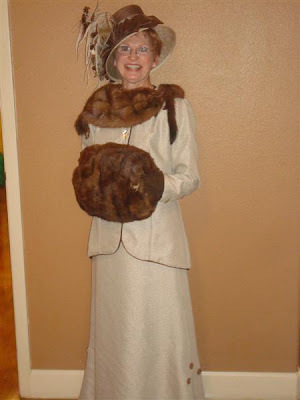 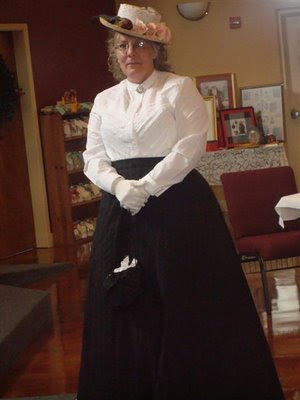 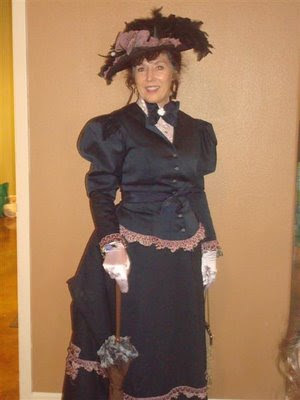 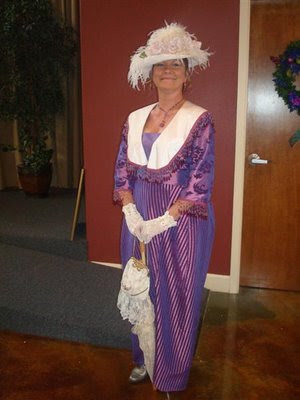 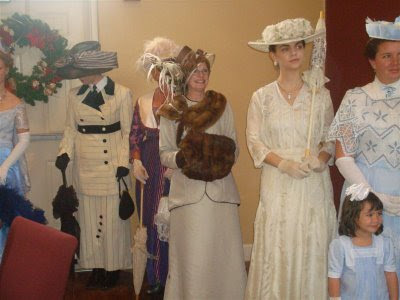 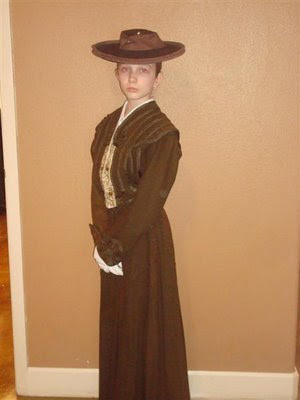 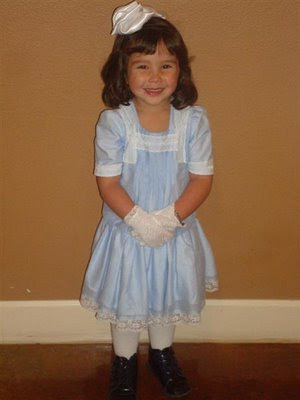 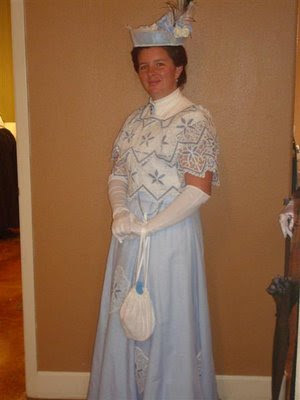 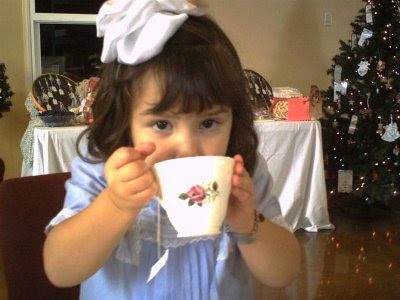 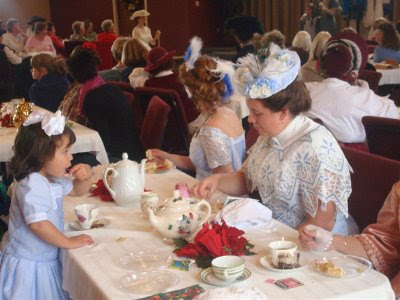 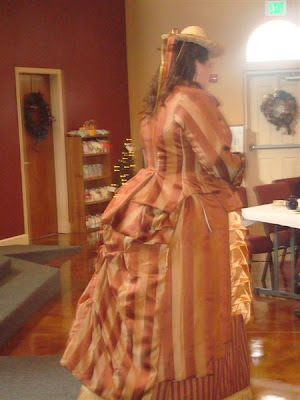 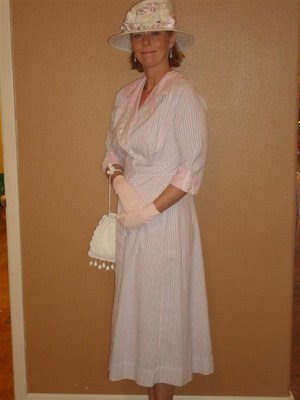 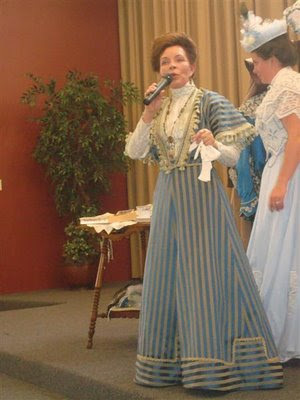 My church, Foothills Church of Christ, had an Edwardian Tea and Fashion Show. 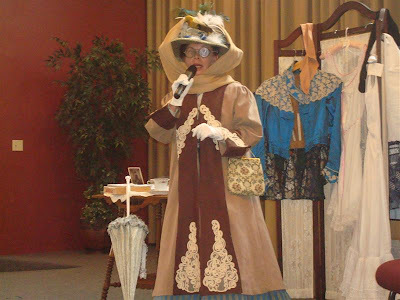 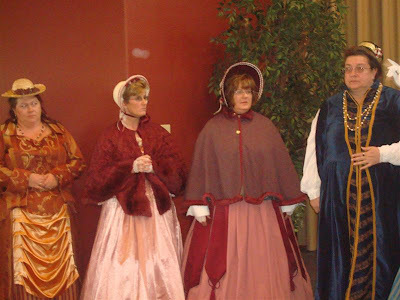 Yesteryear Productions participated in the fashion show as well as provided costumes and I played lady's maid to Lady Carolyn as she did her Genteel Disrobe. 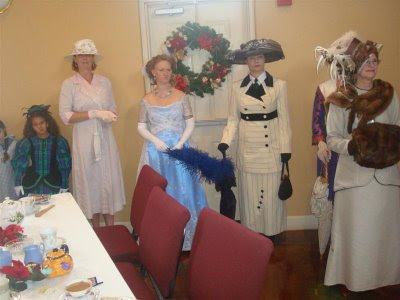 There were about 100 ladies and 3 gentlemen that attended, including the members from our church who served as well as paid the $20 admission. 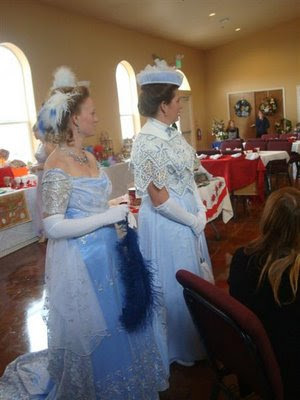 The event was to raise funds to pay off the building as well as to send 30% of what we made to the Village of Hope Orphanage in Ghana, Africa. 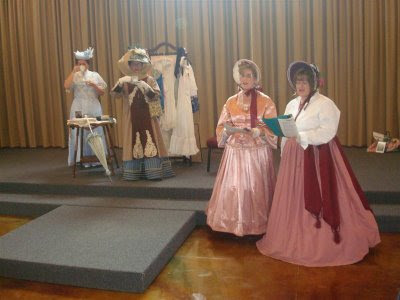 Five ladies attended in their own historical outfits, and of course we had to make them part of the fashion show. 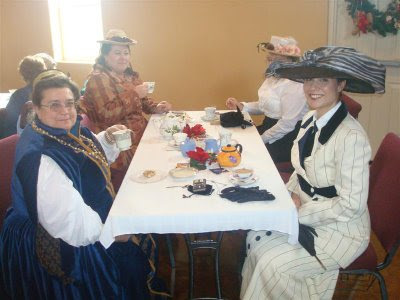 It was a lovely time had by all. 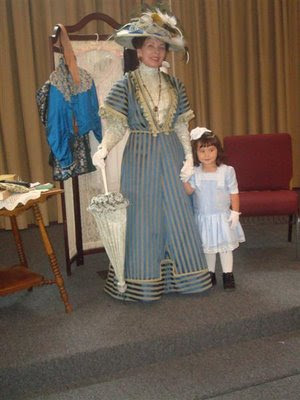 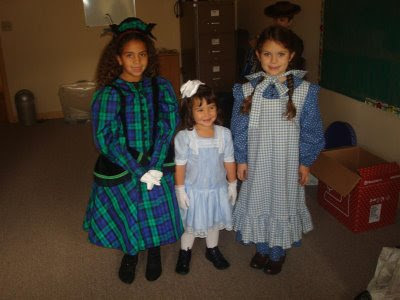 1870s, early 1900's, and Little House on the Prairie girl's dresses. 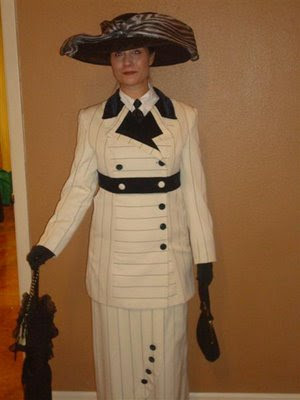 Titanic dress, fashioned after the dress Rose wore when she boarded that Titanic in that movie. 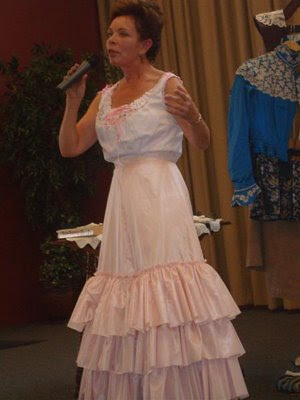 Down to her 8 pieces of underwear!